On speaking to your audience ~ vote in the poll! Several years ago I found myself playing a house concert to showcase a student’s piano to her friends. I had considered speaking to the audience, but decided against it. Having played collaboratively until then, there was little opportunity to do so. On concert day, I was warming up at my student’s apartment when someone arrived early with food for the reception. She waited for a break in the music, then knocked on the door. After we introduced ourselves, she said, “Was that original?” I needed some clarification. What she meant was, had I composed the piece she had just heard. It was a Bach prelude! That conversation convinced me of the importance of verbal contact with the audience. That day, I provided verbal program notes before each group of pieces. The audience members were graduate students from an open-major program. They were not musicians. Knowing the type of audience in advance will help you think about what you want to say, as it did in this case. Several people mentioned during the reception how much more they enjoyed the music because of my introductions. Now I almost always say a few words, at least. There is a perceived divide, even chasm between the audience and the performer. When a performer offers music, audience members don’t necessarily understand what is going on. Music is, after all, intangible. Now more than ever, we need to take care of our audiences. If they feel that you appreciate their effort in attending, they might be more apt to go to a future concert with music by the same composers, hear the same instrument, or return to the same venue. Whenever I speak to my audience, I find that more people not only come backstage, they also have a better idea of something to talk about. Please let me know your ideas and experiences! The decision about whether to speak to an audience is an individual one. The more formal the concert, the less likely the performer might be to speak. In general, though, I would encourage you to experiment with speaking. It’s easier than you might think ~ you know more about your program, how you chose the music, why you’re playing it, etc., than anyone else in the room. There is no need to make extensive comments. Shortly after Merce Cunningham’s death, he and his partner John Cage were quoted in a newspaper article. Their insights resulted in my thinking about this blog post. Although I have performed nontraditional music, I am not an expert. However, problem-solving can often be done best by using unorthodox thought processes. Hence the connection between the article and this post. John Cage, surprisingly, and perhaps uniquely, had no preconceived sounds in his head. He asserted that each sound he wrote had its own life. Interesting concept! Merce Cunningham, who had his choreography performed with Cage’s music, spoke about “set points” being coordinated. Movement and music are together at certain spots. At other times, they proceed independently. Cunningham thought that movement could stand on its own. If it is well done, it is beautiful. On the other hand, if the movement and music are always synchronized but not performed well, who would be interested in watching and listening? What does this have to do with more traditional music? After all, most music I play has meter, tempo markings, and the various instruments are in sync. Its composers’ intentions were almost certainly preconceived. It is the unusual to me thought process, as well its realization (its life in the music), that is helpful to me. I would suggest that we can suspend at least some of our embedded ideas. This is quite useful in solving interpretive issues. At times, no matter what you try, certain phrases just don’t work. Or an entire piece won’t fit with what you know about the composer’s style. When that happens, I never accept merely getting through a phrase in a mediocre way just to feel relieved when I arrive at a section that works. Playing something in a way I am not convinced of is unacceptable. And mediocre playing will never fly with a savvy audience. A word of caution: when something isn’t working, that is not the time to impose yourself on the music. You need to look further, try something else. One example: a 20th century violin/piano sonata I performed recently. The piece begins romantically, and then there’s a change. The second section is marked 4 beats faster. Not much of a difference… until you look at what the musical style is, too. The faster section is airier, with lots of filigree going on, rather than being melodic. So it needs to sound completely different, new. Arriving at something that works need not take an excessive amount of time. All that’s required is a flexible way of thinking. In a recent issue of the New Yorker, Alex Ross writes about Will Crutchfield‘s survey of recordings of the tenor aria, “Una furtiva lagrima” from L’elisir d’amore by Donizetti. The focus of Crutchfield’s survey and much of Ross’s article is on the cadenza. Before Caruso, singers wrote a wide variety of cadenzas. Then Caruso came along, and since that time, most tenors use his cadenza. In fact, most people think Caruso’s cadenza, now heard so often, is Donizetti’s! Not true! Cadenzas exist for the soloist to showcase what s/he does very well. So striving to perfect someone else’s cadenza, written to fit their specific strengths, doesn’t make a lot of sense. Why would you settle for someone else’s cadenza? A good coach can help you find a great cadenza. Not someone else’s, yours. After all, isn’t your goal to present yourself in the best possible light? Perhaps you would like to improvise a little as a way to begin composing a cadenza, but haven’t tried it yet. I recently had this discussion with a non-musician, but curious friend. She suggested that I write about this topic in the terms I used to explain improvisation to her. If improvisation seems difficult, try experimenting with something tangible. Spread out some colored toothpicks, then reorder them, make different shapes, build a house ~ build anything! Find a room with a black and white tiled floor. Large tiles work best. Walk on the black tiles only. Then try the white ones. (Credit goes to Candid Camera for this idea.) Then dream up your own variations. Go to the park, find a bench to sit on, and watch children walk. (They don’t, in adult terms.) You’ll see them skipping, going backwards, and going sideways, going in no particular direction, changing their approach on a whim, always making it up as they go along. Try singing/playing something you make up. Maybe something you try will sound “wrong.” (Who said that?) That’s terrific! It’s only by making the attempt and playing around that you’ll arrive at something that works. Are you locked into past teachers’ ideas? We all know different things. You are more knowledgable about certain aspects of your field than any of your previous teachers. What rep did your previous teachers sing/play? What did they ask you to do/discourage you from? What does each of your answers tell you? What can you incorporate from concerts? Recordings? Master classes? While on an involuntary hiatus recently, I found myself listening to even more recordings than usual. Many worked for me ~ and some didn’t. When I thought about possible reasons for my reactions, it all came down to how each performer incorporated her/his ego. Every performer has an ego ~ is it in the service of the music, or is it the most important element of the performance? Curiosity is crucial to maintaining one’s personal balance. If you start thinking you’re the best ever, well, you’re not. Go to a music festival. 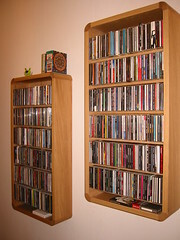 Listen to a wide variety of recordings. Go to a large city to hear what’s going on. Willingness to learn is a must. When collaborating with others, you need to be able to compromise. Even when you may not be wild about another person’s playing or interpretation, you can get along with her/him for the duration of the gig, possibly performing in a way you don’t agree with completely. Rather than imposing yourself on a piece, you must ask “Why?” first. Why did the composer notate this passage this way? Why is this section only 4 metronome clicks faster than the previous section? A performer’s ego is crucial for having the will to stick with learning a new piece, practicing the same music again and again, and surviving in this business. It’s some performers’ display of their own ability to tear through a piece regardless of the composer’s tempo indications, or their imposition of unsubstantiated “original” ideas onto the music that I strongly object to. That’s it for now… I’m happy to be back blogging, and plan to try posting once a week.